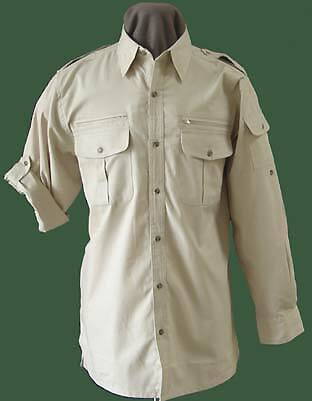 Our most popular Safari Shirt & Safari Clothing Range. This Safari Shirt is for Men and Women. Soft and comfortable. A great shirt for day or night.